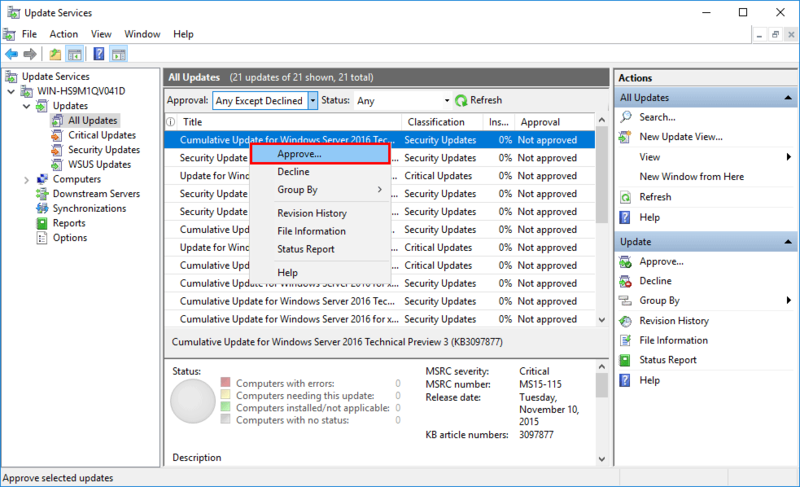 Regardless of whether you have configured WSUS to require manual or automatic synchronization to download updates, updates must first be approved before they will actually be downloaded and stored locally on the WSUS server. 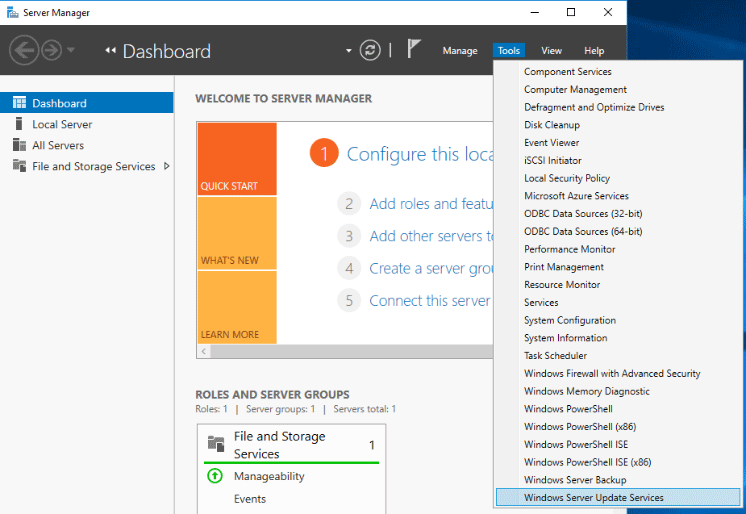 We can manage updates through the WSUS console, simply open it up through the Tools menu in Server Manager. 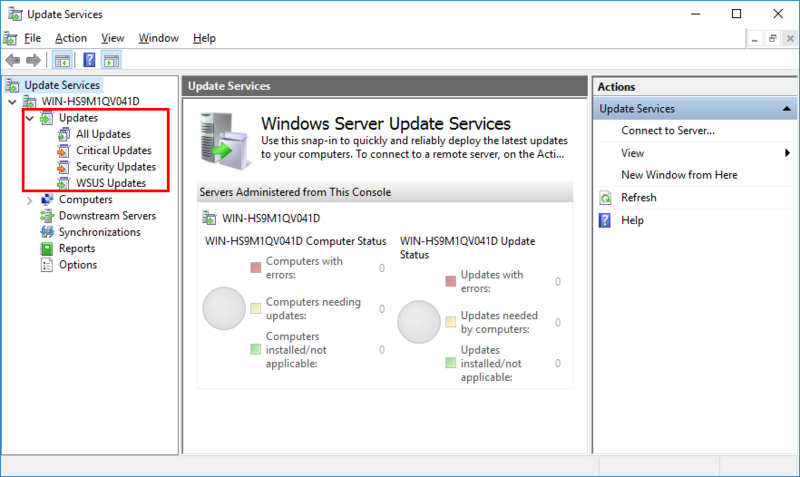 In the WSUS console we can view different types of updates, as shown below. All Updates: As you can probably guess, this will show all types of updates. Critical Updates: These target important problems in Microsoft’s products that should be resolved. Security Updates: These include important security fixes for known vulnerabilities as well as malware definition files for Windows Defender. WSUS Updates: These are updates that are for the WSUS product itself. When viewing the updates you will be able to see if they have been approved or not. You’ll also be able to see a percentage of your machines that already have the update installed, which quickly allows you to determine how much more of your environment still requires a particular update. 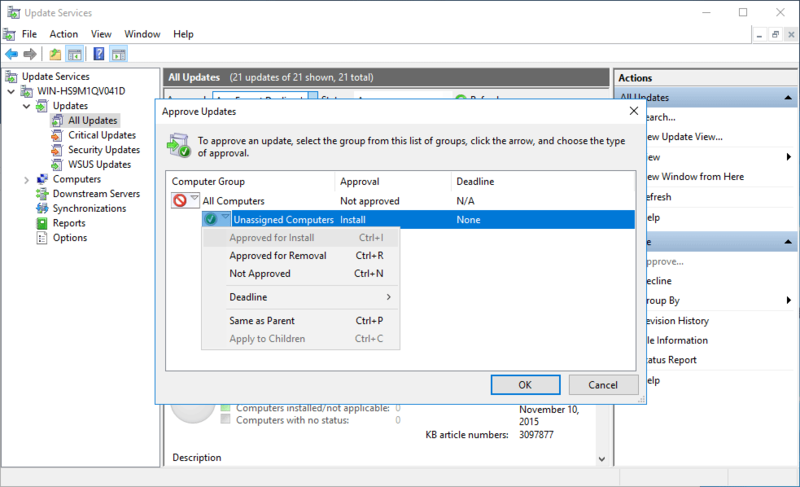 We can also configure automatic WSUS update approvals rather than going through this manually for every new update. Managing the updates through the WSUS console is fairly straight forward, you can easily view the different update categories and approve any updates by simply right clicking them.